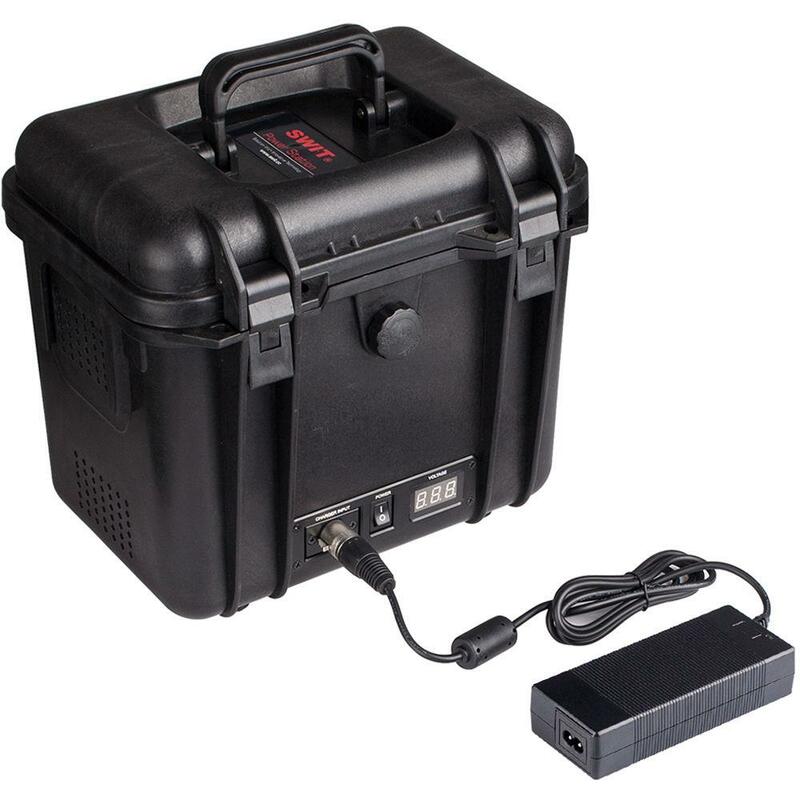 The SWIT S-4030 4-Battery Power Station Box can install 4 pieces of V-Mount batteries which can provide more power and longer power supply time comparing to single Li-ion battery. It can meet the demand of different users, and is very suitable for Cine cameras, lighting for Film & Television and mobile studios. 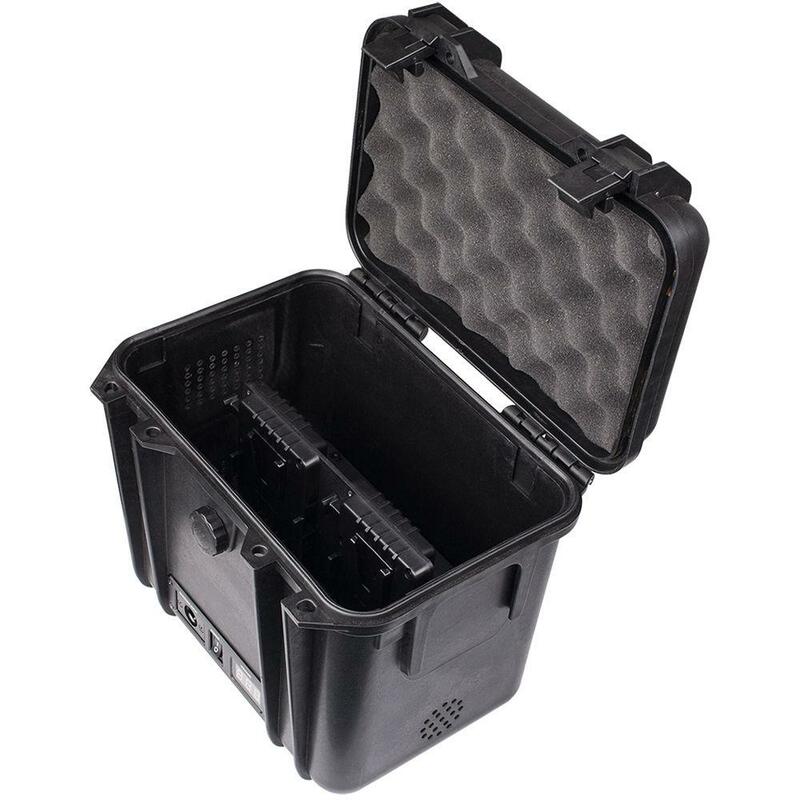 It adopts PP+ Fiber glass case which is high-intensity, toughness, and temperature resistant. The box is designed to be powered with 1 to 4 V-Lock batteries, which are widely used and easy to find. It is compatible with all the SWIT V-Lock batteries or 3rd party batteries. The auto-balanced circuit design helps power the box with 1 to 4 batteries, of different capacity. The maximum output is limited by the batteries output. With 2 x 3-pin XLR output sockets, the S-4030 is capable of supplying 2-channel 22 to 33.6V, maximum 15A power simultaneously. 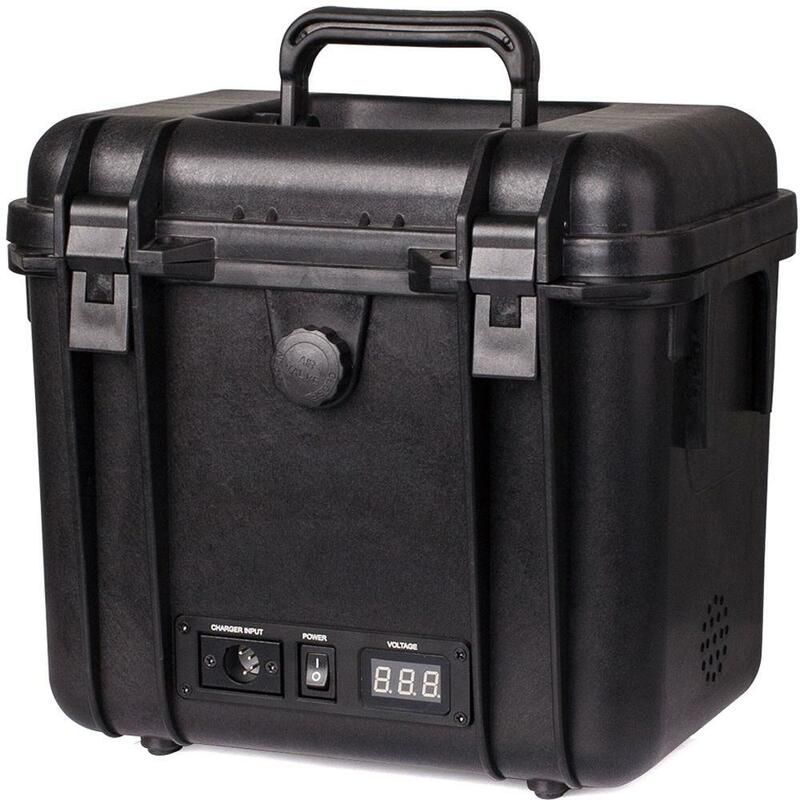 With a LED panel, the S-4030 can display real-time voltage, and when battery capacity is too low, the LED panel will keep flashing to remind you to change or charge batteries. The supplied 5A charger charges the batteries in the S-4030 directly, without taking them out. The fan keeps dissipating heat from the box and makes it safe when working in high-temperature environments. Charging //With 4 fully discharged 160 Wh batteries, S-4030 will take around 11.5 hours to fully charge these batteries with the supplied power adapter. 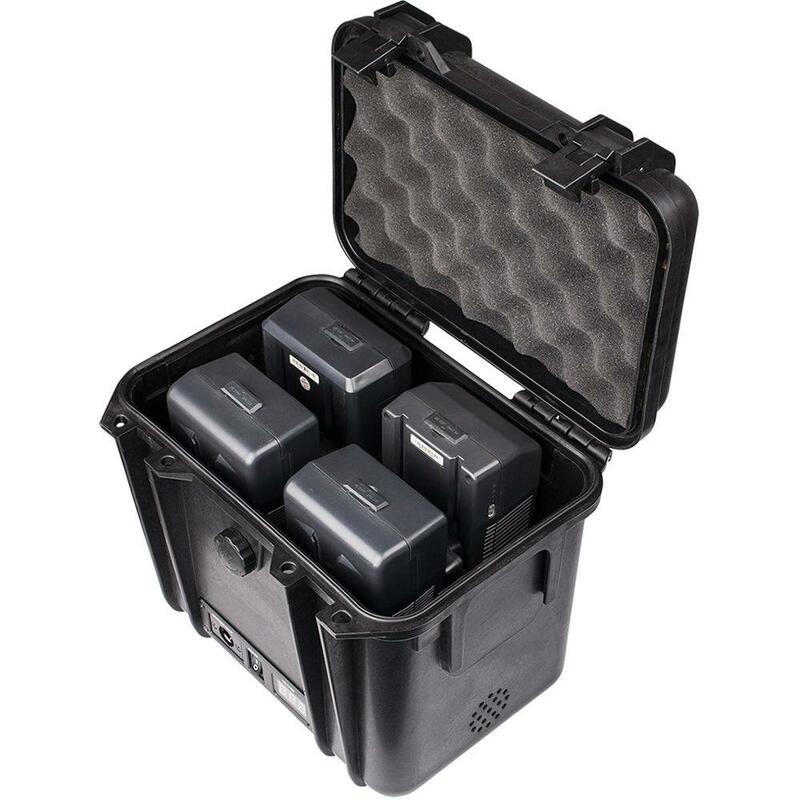 Discharge //With 4 fully charged 160 Wh batteries, S-4030 can power 85 W power consumption Cine camera for around 7.5 hours.